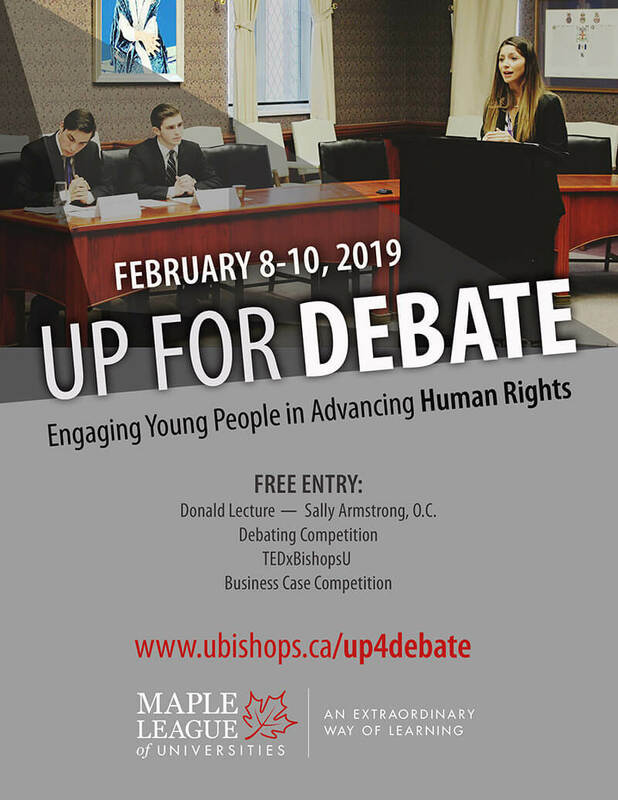 The Maple League: Engaging Young People in Advancing Human Rights. Members of the Maple League – Acadia, Bishop’s, Mount Allison, and St. Francis Xavier – believe that higher education should provide a balanced and comprehensive experience that challenges our young people and prepares them for responsible, ethical, and sustainable leadership. We also believe that institutions of higher learning have a responsibility to support students as they become global citizens. The Maple League schools are united in a shared vision we can work together to change the world for the better. We will spend the weekend exploring ways we can enhance these opportunities at our own universities and share these experiences with members of Maple League. The weekend promises to be stimulating, thought provoking, and delightful. In addition to plenary speakers, a student debate tournament, a Business School CASE Competition, and a series of receptions, we are hosting TEDxBishopsU, a multidisciplinary event that will feature speakers drawn from the talented pool of students, faculty, alumni, community members, and staff from the four universities. Each talk will focus on youth engagement and human rights in higher education –inside the classroom and beyond.